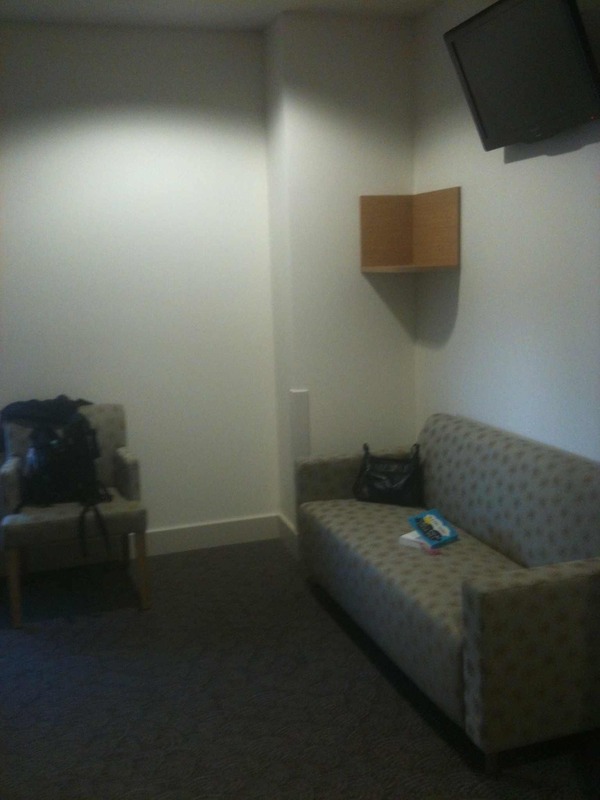 I checked into Joondalup Health Campus (Private) at 3:30pm on Monday as scheduled. I was not allowed any food that day but had to drink lots. This frequent liquid intake helped with hunger pangs but by early evening I felt like I was hallucinating. 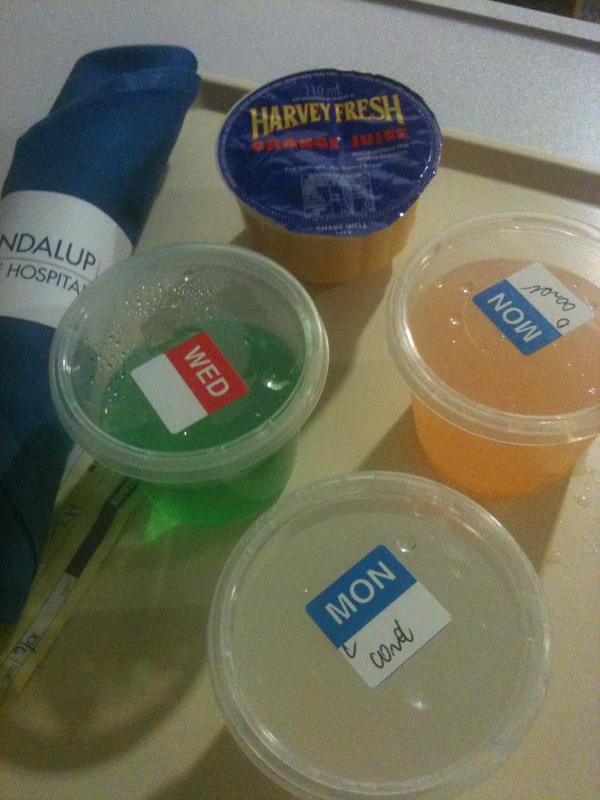 When the orderly brought my “dinner” I had never been so excited to consume artificial colours in the form of cordial and jelly (Jello). 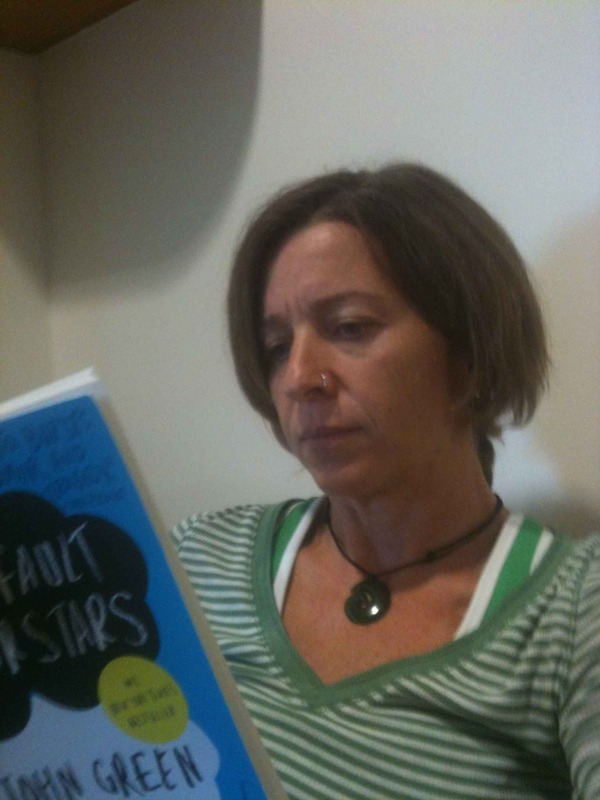 I spent most of the evening reading A Fault in Our Stars by John Green. I had started it the night before and had to force myself to turn the light off and go to bed so I was less than 40 pages in when I got to the hospital. From 4pm until 730pm I sipped and read, sipped and read. At 730, The Voice came on but I must say, I was more interested in my book than I was the show. Of course, by about 830pm the laxatives had kicked in so I was up and down. I can hear someone yell STOP, so I will not go into those details. It wasn’t that bad though. This is only half of my private room. I stayed up reading until 11pm but I did not get a sound sleep – too much back and forth or fear of going through my mind to really rest. Even so, my mini “holiday” was delightful. Sad to think that is how I find solitude and some ME time. FFS!! At 6:40am I was woken by the nurse for yet another dose of laxative. Ok, Ok I’m not saying more. I drank it and picked up my book again. This book, which BTW, is a Young Adult read is fantastic. I was hooked from page 1. It’s dark; there’s a lot of death and sadness but the love story is heart warming and hopeful. It’s beautifully written the characters are all loveable creatures (well, most of them). I can only dream of being as good a writer as John Green some day. I was lucky to be so engrossed that I didn’t have much time to consider the procedure that was upon me. Before I knew it, it was time to shower with the hospital grade antibacterial body wash and immediately afterwards, I was taken to surgery. It’s quite confronting being wheeled through the ward, down the elevator and through hallways with all eyes on you as you pass. When we got to the holding area, I was left there for a few minutes before a nurse covered me with a warm blanket. How great are those blanket warmers? I was all warm and snug until the anaesthetist came and asked me a zillion questions before whisking me off to the theatre. I saw my doctor, who I had only ever met once before and he spoke to me for about 30 seconds before the anaesthetist gave me the shot. It entered my bloodstream through my right hand. I felt it slowly cooling my arm as the nurse asked me to open wide for the mouth piece. That’s it. The next thing I remember was the opening and closing of my eyes as two nurses stood by my bed back in the holding area. They were talking about something that had happened the day before or to another staff member or something. I struggled to hold my eyelids open then gave up and just enjoyed the inability. I spent the next 2-3 hours in my room waiting for my blood pressure to come down and the drugs to wear off. I was given lunch (gluten-free) and read until Mr M and Master T arrived to get me. The nurse came and gave me a report to take home. All I know at this point is this: “Normal lower GI endoscopy”. I am still waiting for the biopsy report to be sent to my GP. What I have noticed is this. On the morning after I had had no food for 36 hours, my tummy was flat. Now that I am eating again it is constantly bloated and I am not having any gluten. Mr M says that I’m obsessing and maybe I am. Maybe I am. I’ve always been really good at that. Categories: Food, Health | Tags: A Fault in Our Stars, colonoscopy, health issues, John Green, stomach issues | Permalink.